Today Maryam is back to help in choosing your perfect wedding color scheme! Many people don’t realize that selecting the color scheme for your wedding is an incredibly important decision that should be made as early on in the planning process as possible. Why, you may ask? Well, your color scheme will largely depend on your venue, the time of year your special day is being held, and the setting for your wedding. 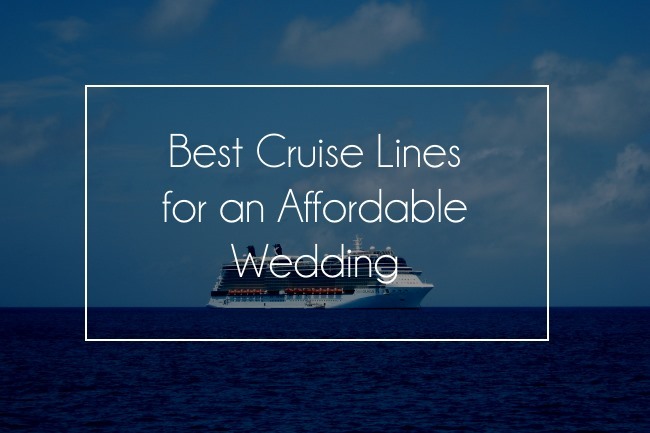 It’s important to think long and hard about the colors you’re going to incorporate in your big day because the church will be decorated to match, along with your bridesmaids, groomsmen, cake, and much much more. When starting the planning process, I really had no idea what I was going to do for my wedding colors. Since we are getting married in Northern Ireland, and I’m marrying an Irish man I immediately thought to include Emerald green. However, I soon realized that this was very “cliché” and Stephen definitely didn’t like the idea. 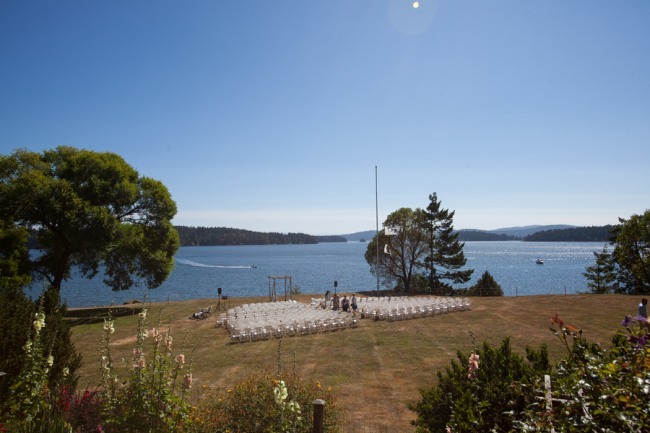 Our wedding is after the summer and is being held at a beautiful church with stained glass windows followed by a reception in a gorgeous hotel right on a lake. I wanted the color scheme to perfectly match the time of year and the venue. Also, I wanted it to be a little something different. I first decided on the color Rose Gold. I had purchased a purse that was a metallic Rose Gold last year and immediately decided it had to be one of my wedding colors. I liked the idea that it was something metallic so that I could add a little bit of bling to my special day. I highly suggest that you pick one metallic tone to incorporate into your wedding – copper, silver, gold, bronze, rose gold. It’s nice to have to add a little bit of shine and sparkle. Admittedly, since rose gold is a very new trendy color, it’s been very difficult to find a lot of items for the wedding with this color. Additionally, printing with metallic colors is an entirely different process, so it’s important to keep that in mind when it comes to paper goods like invitations. It’s funny, because as I was browsing the net I saw a post on the Perfect Palette highlighting rose gold as a trending color! For the next two colors, I wanted colors that were easy to find, subtle, and went with everything. I chose to use Ivory and Kraft Brown as the neutral and basic colors in my wedding. It’s easy to find everything in Ivory, and it’s also the color of my dress! Kraft brown is a nice, almost hipster, choice that you can use for printables (paper goods), gift boxes, totes, and anything else really to add a little “shabby chic” to your special day. Then, last but not least I decided to have royal purple to be my bold color for the night. 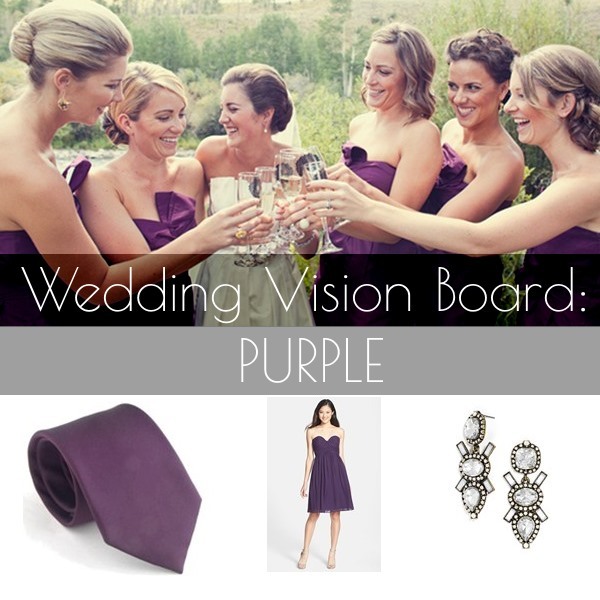 The bridesmaids will wear this color, and the groomsmen will wear royal purple ties. It’s perfect for a end of summer, start of fall wedding that’s elegant. All the colors work very well together, and this is a nice accent addition to the day. It gives me the opportunity to have a bold pop of color. To be entirely honest I haven’t figured out how the reception will be decorated, or the church, or how all of these colors will go together. Yes, I have decided on a few things. Still, coordinating everything is what I have left to do. I really like this color scheme, and I think it will turn out beautifully. I look forward to sharing the items I select for my wedding based on these colors with you, and I hope you’ll give me lots of advice on what I need to complete my special day. 1. Always have at least one neutral and toned down color like beige, ivory, pearl, or white. You want a light color that can compliment everything, even as a backdrop to your invites, and as colors for flowers to accent the bouquet. 2. At least one bold color that looks great on everyone, is easy to find, and can be used to accent your cake, reception hall, and bouquets. 3. Don’t choose more than 4 colors for your wedding color scheme. It can get complicated to make them work well together. 4. Choose colors that you can find for: the cake, dresses, ribbons, flowers, invitations, accent pieces, and more. You need to pick colors that you can actually buy! Even though something may be beautiful you may not be able to find all the items you need in that color. 5. Be prepared that not everything is going to match. Sometimes you’ll buy something “purple” and another “purple” item and they’ll be completely (or slightly) different. No reason to get upset, not everything will match perfectly. Do your best to coordinate. 6. You don’t have to pick a color scheme. Instead go with a theme, then you don’t have to worry about colors coordinating as long as everything goes with the theme of the day. 1. COLOURlovers: COLOURlovers is a free tool that lets you look at different colors, create and browse color palettes, and experiment with color. Take the time to look at palettes others have created to see if there’s anything you like for your special day. 2. The Perfect Palette: Love browsing through awesome wedding inspiration all related to color? 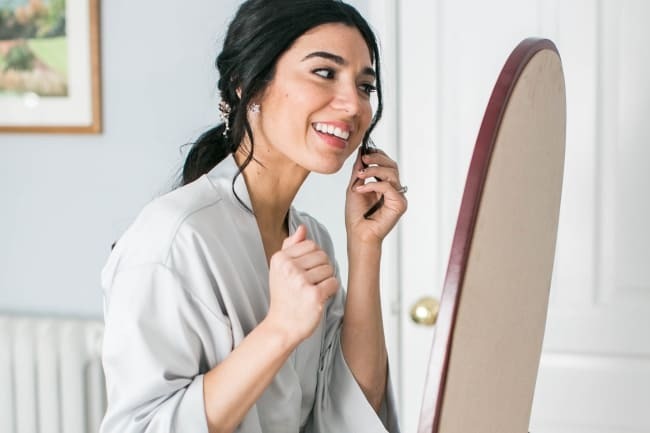 Well, the perfect palette is the place for you – search by color, see the latest trends, and discover the perfect colors for your big day. 3. Kuler: Play with different color palettes, experiment with different colors, and discover what works together and what doesn’t. A fun tool to get ‘into’ the world of color. 4. Pinterest: Pinterest is simply the best. You can browse to see the color schemes of other weddings, see how people have styled their weddings based on color, and get inspired. 5. Color Scheme Designer: This tool is the best! If you want to see how different shades and tones of the same color look together, or find complementary colors, this color scheme designer will help you see color with fresh eyes.